The last installment of this series seems to have struck a cord with folks. (Breeding Matters III: Inbreeding vs. Line breeding) There has been much dialogue around the subject, and that is great. Getting folks together to discuss things that so directly effect their bottom line, like the breeding programs they do or don’t have in place, is part and parcel to what On Pasture is about. One very important point was brought up last week by Dr. Joe Emenheiser, UVM Extension Livestock Specialist. That point is the quality of the foundation stock being used in a line breeding program is incredibly important to the ultimate success of that program. 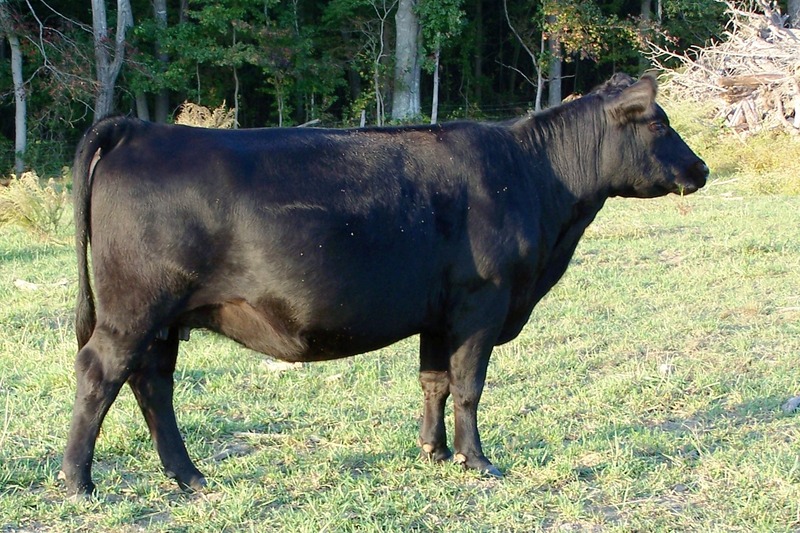 As closely related animals are bred to one another not only are positive or desirable traits concentrated, but so too are undesirable and possibly outright lethal recessives, such as Snorter Dwarfism or any of the many simple recessive, lethal genetic disorders discovered in the Black Angus breed over the last decade. Starting with proven genetics for one’s foundation is important, but spontaneous mutation does occur even in the “proven” gene pools. That is part of why it is important to maintain line breeding practices within the specific parent breeds. Purposeful and planned line breeding will cause those defects to show up more quickly than in an out crossing program, and thus allows them to be eliminated before being broadly propagated. The fly in the ointment is the integrity of the breeder to step up and be honest about defects when they crop up and let their customers know the defect exists, what it is and that any potential carrier should be tested and or culled. With the development of incredibly powerful genetic testing algorithms many defects can be detected through simple hair or blood samples. That said, there can be some animals that have raked in huge sums of money for their owners because they excel in certain desirable traits or they happen to be the flavor of the month for a particular fad. When it comes out that those animals are in fact carriers of lethal recessive genetic disorders there is tremendous financial disincentive to be honest. 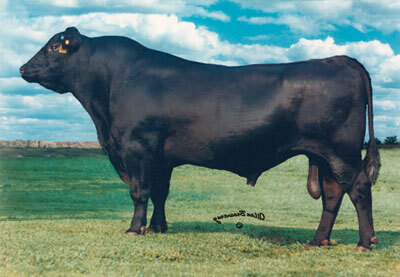 A Black Angus bull that was incredibly popular during the “carcass craze” of just a few years ago named GAR Precision 1680 was just such a bull. It came to pass that he actually was the source of two lethal recessive disorders, but his owners and propagators were in serious denial about that and thousands of direct and indirect progeny have had to be tested since the truth came out about the bull. In any case, culling is the real subject here. Anyone can make a mating between two animals. Shoot, the animals themselves may break fences, swim across lakes, bust gates to create their own mating decisions, but how do we decide which animals stay in our program? Do we even have a program? Do we really know what we are breeding our stock toward? These are valid questions whether one chooses to be a line breeder within a specific breed or a commercial producer who seeks hybrid vigor and the incumbent production and hopefully profit gains from that hybrid vigor. What is the image of your ideal or perfect cow in your environment? Feel free to substitute the words ewe, doe, hen, sow in place of cow. The principles here are what matter, not the breed or even the species. There is much to be learned from the best breeders of dogs or horses for a cow man. 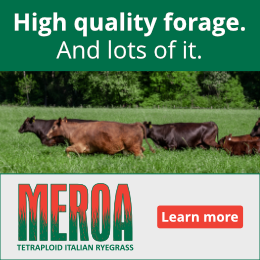 This is the type of cow that will produce steers that grade very high and produce excellent Grass-fed Beef eating experience. Back to that ideal cow for my program and my environment; what does she look like? To some degree I get to decide. I choose the parent or foundation stock for my farm or ranch. But over time, the environment in which my animals live, breed and die is what selects the animals that are best, not me. I create the selection criteria and the production paradigm. The environment though is the ultimate decision maker. The chief predictor for making a profit on any livestock operation, whether it’s dairy, poultry, beef or any other, is fertility. Live babies on the ground at the desired time of year which are reared to sale size/weight in the timeframe necessary to make those sales is what drives the bus here. First and foremost is getting the cow in calf. Second is making sure the calf is delivered. Calves which arrive DOA have very poor sale value at weaning. And then there is the issue of having to feed that cow another year before she delivers a calf again. She’s better off serving the farm by being served on a plate. Traits such as fertility have been poo pooed as having low heritability. I personally disagree with that sentiment. Fertility is a survival trait in nature, not for the individual but for the species. I’ve seen the results in my own herd and others by culling open individuals. By always removing those animals that can’t get bred in my environment, I am left with a herd of cattle that has tremendous fertility. My average cull rate for open cows and heifers over the last five years is 4%. Almost to an animal that 4% is comprised of first calf heifers that fail to rebreed. My herd is not alone. Many of us who are students of this school of thought have decided to kick the crutches out from under our herds and flocks. By removing grain, wormers, and most supplements beyond free choice salt and at the same time shrinking breeding seasons to 42 days, you really get to see which animals can make it. When any animal that is open at preg check gets culled, only the fertile ones survive. Sometimes it isn’t my “favorite” cow that lives to be 12 or 13 or older on my farm. Maybe it’s the cow I’ve never paid much attention to but she keeps showing up for work. The farm is selecting the cow, not me. This process isn’t for the faint of heart, but it does pay off. This is an investment in your herd’s future. In another installment we’ll talk about some of the physical traits that serve as predictors for success (fertility foremost) in our stock within a low input regime. Don’t forget, if the animal can thrive in a low input regime, chances are they will outdistance the competition in a high input regime. The reverse is not true of animals produced in a high input system. Most will simply fall out of the gene pool in a low input scenario. Want to be notified of more articles like this? Click below to get the weekly updates email. I am the choir of course, but what the hell. I totally agree with your article, and the previous ones also. The only fine point I would add is that if we want full genetic expression we need to understand the impact management and environment has on all our genetic outcomes. Epi-Genetics! I know you know what it is and how in important it is, but I bet that many of the readers don’t understand its significance in the breeding outcomes. It is a relatively new field, and genetic fluidity is controversial, but I have seen it in action in our breeding program. 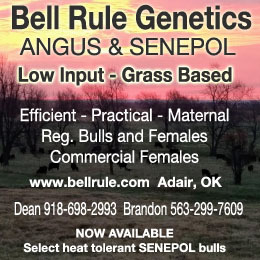 I agree with those that say we shouldn’t pamper cattle, but we do need to manage for good genetic outcomes. When we are feeding that dry cow, she sis building a calf and the eggs in that calf will affect the herd for years–is she getting everything she needs? Great articles, keep up the good work! Look forward to more stuff to enjoy! I am respectfully disagreeing with you, Joe. The defects in question have not been “all but eliminated from the breed.” The two defects in question are monitored within registered Angus circles, but many carriers were simply sold into the commercial sector. I watched it happen for three years at sales up and down the Estern Seaboard. The defects haven’t been eliminated but relocated into an un monitored sector of the industry. Yes, the 9j9 bull behind Precision was the source of the first identified defect. However, Precision himself is the source of the second identified defect (Neuropathic hydrocephaly) stemming from that lineage. It was determined to be the result of a mutation within the genotype of Prcision 1680 by the folks who developed the tests at University of Illinois. As to how communication, honesty and integrity in handling of reports of the advent of these simple recessive, lethal genetic defects’ appearance in rancher’s herds, we have a different recollection of the facts. That period of time is still with us. The Angus Association has a vote for their governing board today. There is still ongoing litigation over who knew what and when surrounding these genetic defects in the Angus breed, and there are now suits over falsification of data which informs the algorithms for EPD development. I do not dispute the influence of environment on fertility. However, the cattle selected specifically on a fertility basis first and performance basis second (after all you have to have a live calf in order to measure its performance) which have the fewest additional inputs have higher predicted and actual fertility as a population than those which are not selected under the same or similar conditions. Morgan, heritabilities are measurable things, not sentiments! Fertility is pretty simple to quantify with bred=1 and open=0. When you take a set of a fertility records, it’s clear that a whole lot more of the phenotypic variance is explained by environomental and non-additive genetic variance than by additive (heritable) genetics. That’s not to say that fertility isn’t heritable at all, or that it shouldn’t be selected for. But it’s important to realize that when selecting for a lowly heritable trait (e.g., survival or reproduction), the overwhelming majority of the phenotype is explained by environment and by gene combinations that aren’t passed on to the next generation. 1) Local adaptation is important, but a breeder can only sell so many cattle to his immediate neighbors. There is no guarantee that what works in one environment will work in another, unless the selection method separates additive genetic from non-additive and environmental factors, and compares animals across environments. 2) When a low percentage of the variation is explained by additive genetics, this generally means that a higher percentage is explained by gene combination effects. Heterosis is one such effect. Where there is variance, there is opportunity. There is far greater opportunity to improve fertility via crossbreeding than via selection. This point would be a much more appropriate follow-up to your previous articles about linebreeding. Linebreeding’s greatest potential in the area of fertility is in the development of two diverse breed or lines with which to make an F1 cross for commercial application. Finally, the comment about Gardiners and Precision 1680 was inaccurate and unprofessional. Much like your Hereford example in an earlier article, recessive defects in that line were not immediately obvious because of avoidance of close breeding for several years. Also, GAR was sending early defective calves to IA State for analysis, and they were being told that the defect was environmental and not genetic. Perhaps they took a false sense of security in what they were being told, but that doesn’t translate to denial. 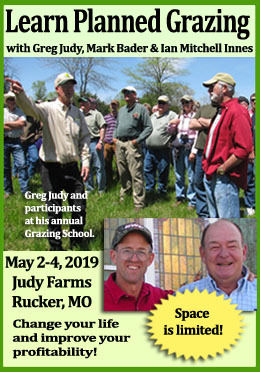 It wasn’t until the spring/summer of 2008, when a commercial producer mated a group of Precision daughters to their half brothers, that it was clear that Precision was a culprit (although 9J9 was the original source). As their fall sale approached that year, there was still no definitive molecular test. In order to present the best knowledge they had at the time, they hired me (I was a graduate student at the time) to calculate carrier probabilities for every animal in the catalog, based on their pedigrees. They later implemented a sale credit program to replace defective animals, and that cost them millions of dollars. The defect was essentially purged from the breed soon after the molecular tests were developed. They had a streak of bad luck, but it was handled with honesty and integrity. Morgan, this statement may be your best. In the natural world, when cattle were wild, their only purpose was to “survive and reproduce.” It was not for heavy milk production, or for big weaning weights or fast growth or a certain look (mans idea in the show ring) (form followed function in the wild), proper skeletal structure and disease and parasite resistance. This cow had to be easy fleshing to increase fertility and get through winter-dry season-times of drought. Low birth weights and birthing structure, were an absolute necessity. Failure of any one of these traits removed her from the gene pool. That has to be the same method today. Following this method, not all out performance, will bring efficiency and profit.